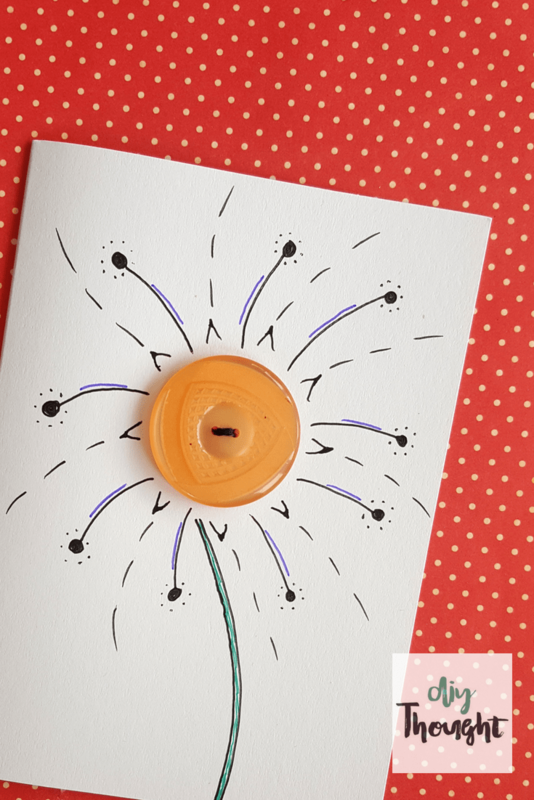 Diy button flower cards are fun for all ages to make! Not only are they fun they are also very easy and really get the creativity flowing, there is no right or wrong with these cards. Honestly, very little artistic ability is required here! Miss 6 has been home sick from school this week and today she finally has had enough energy to sit up to do some activities. While browsing the internet I can across these button cards (photo below) and felt inspired to do something similar. I adore the creative freedom children have when doing arts and craft projects. I sit back mentally planning what to do (and worrying about it going wrong) while Miss 6 and later Miss 3 just go for it and manage to come up with much more unique and interesting cards. 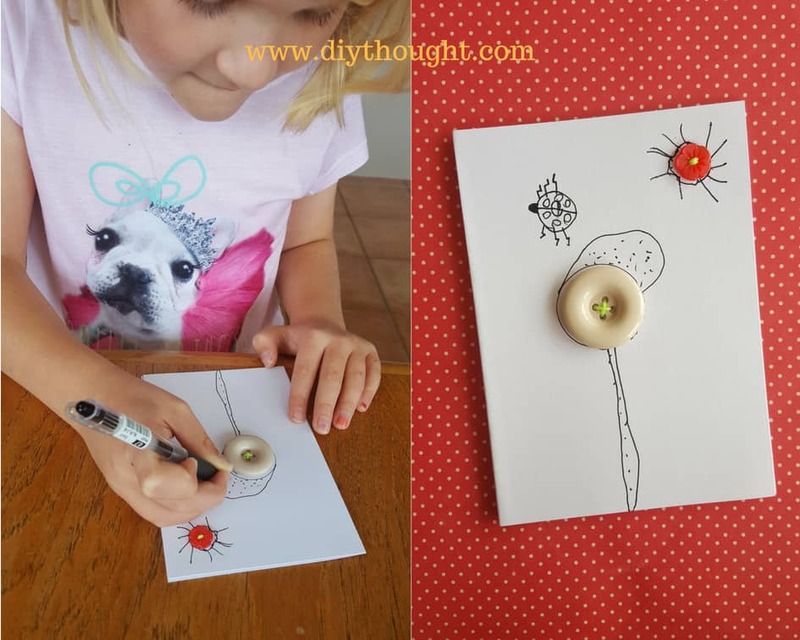 All the help younger children need here is the buttons sewn onto the cards, from there they can be left to design their flowers however they like. Miss 3’s flowers turned into an underwater scene complete with an octopus! 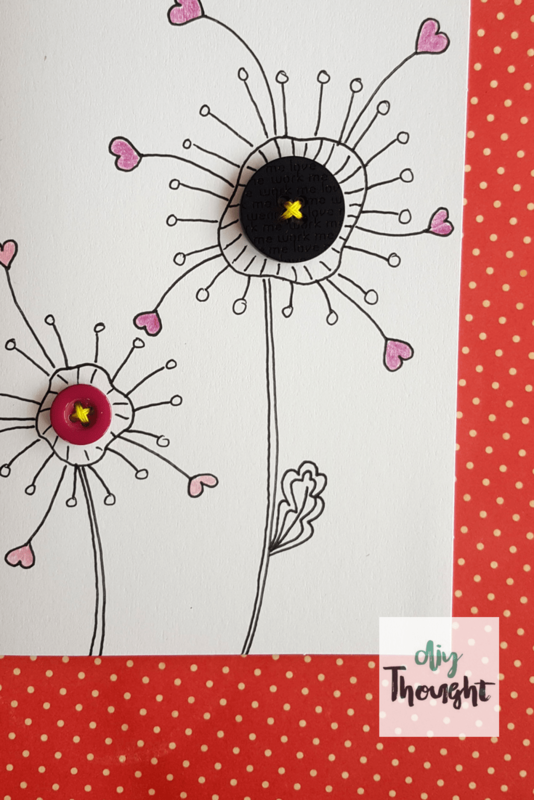 Here are our flower button cards below. Cardstock- We used folded cards which came with envelopes. The card needs to be firm enough to sew a button on without tearing. Fold the cardstock into the size card you desire. Choose the buttons and place onto the card to decide on button placement. Sew the buttons into place, glue could also be used but we liked the look of the thread on the buttons. 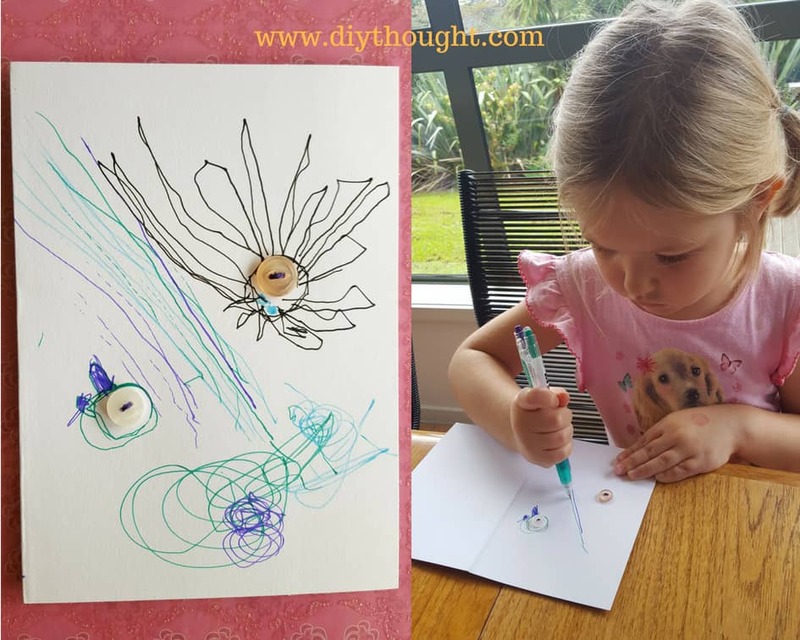 Using gel pens decorate around the buttons to create your flowers. Add color or use colored pencils for contrast. There is no right or wrong here!